With 2019 almost in full swing, it’s that time of year where people are looking to the future and making plans for the New Year. Are you finally going to book that holiday? Is your little one starting nursery? Does your home need a bit of TLC and modernising? Well, we can help with you that. 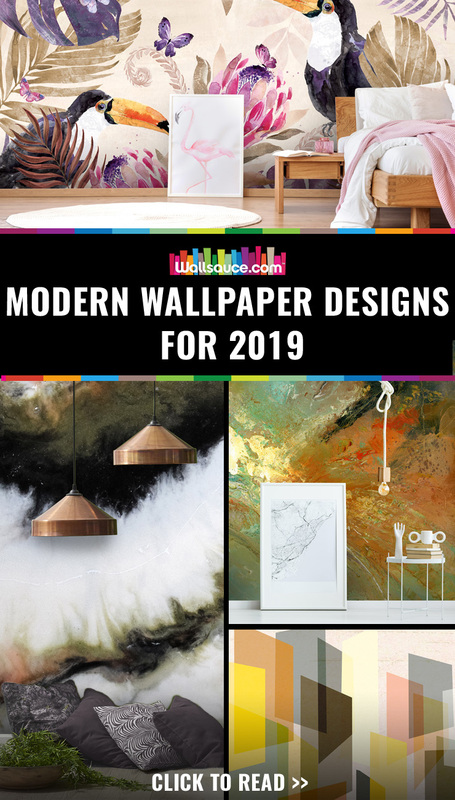 Not the holiday or nursery part (sorry) but we can certainly point you in the right direction when it comes to modern wallpaper. 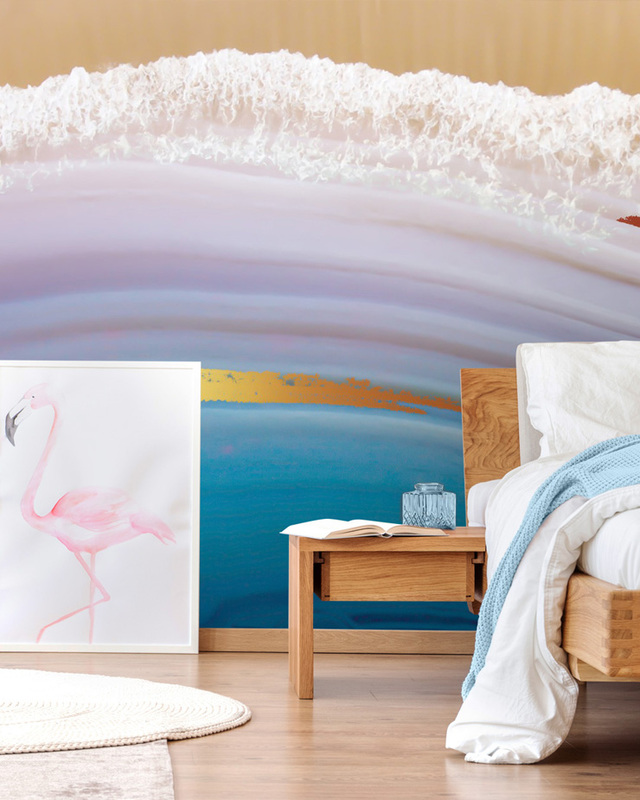 It’s fair to say that wallpaper and wall murals are making a major comeback. Gone are the days where people just splashed a bit of paint on the wall. Nowadays, it’s all about the personal touch and bringing your inspiration to your interior décor. The best way to achieve that is arguably with wallpaper murals because you have so many different styles to go for. Whether you want a pretty pattern, a striking visual or something in-between, we have a wallpaper mural to suit everyone’s taste. 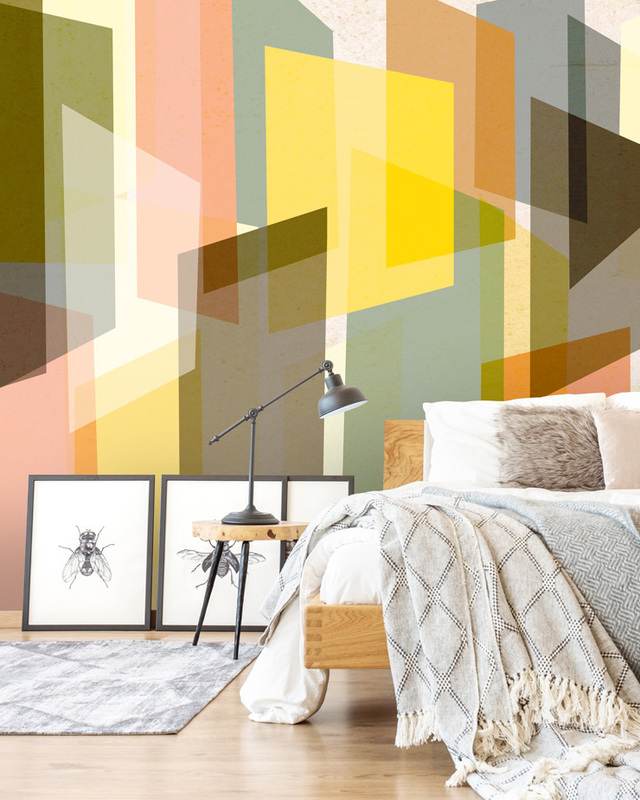 Wallsauce is pleased to introduce five new incredible designers who have an amazing range of wallpaper murals. Is there anything more modern and unique than a wall mural in your home featuring artwork from inspirational artists? Probably not. Anne studied at Stockport College of Art and after finishing her course she worked at an advertising agency. She’s now a freelance illustrator and has built herself an international reputation as a fashion and figurative artist. Her stunning collection for Wallsauce consists of contemporary, expressionist paintings through mixed media to create abstract pieces of art. Anne loves the outdoors and nature in general; her artwork will bring any room in your home to life. The use of different colours and textures she uses to create her unique designs will allow you to appreciate the beauty of nature in a whole new way. 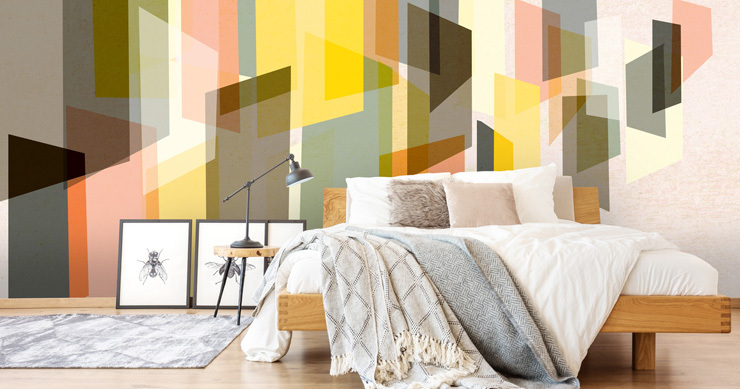 You can create a stunning feature wall mural with one of her mesmerising designs to create the ultimate focal point in your room. Di graduated from Staffordshire University in 2001 with a degree in Surface Pattern Design. She now has 15 years experience of working in the design industry and creates vibrant tropical illustrations. She creates her gorgeous art designs using watercolours, pen and ink and Photoshop. 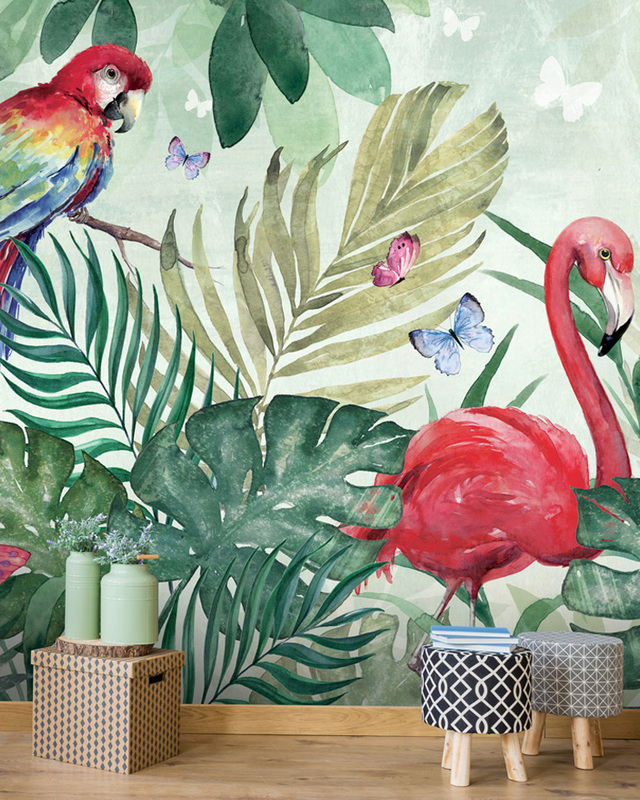 Di’s wallpaper mural collection is very modern and bang on-trend, making it a perfect choice to spruce up your home. The use of flamingos in her designs, colourful flowers and bright green tropical trees is something that will definitely give your home that contemporary edge. Her floral and tropical artwork will bring summer vibes all year round in your home. Gemma is a Fluid Artist with a newly opened studio/shop in Leighton Buzzard, Bedfordshire. She works mainly with resin and ink but also combines various mixed media to add texture and depth to her work. Her detailed, distinctive designs combined with the use of dark colours create the ultimate wow-factor and will look amazing in your home. All of Gemma’s designs have a very edgy feel to them, which will create a dynamic feature wall and give your home that modernistic feel. Lara studied Graphic Design/Illustration at Camberwell College of Art and began her professional career designing record sleeves. Her work has since been displayed at various exhibitions in London and at small art galleries. 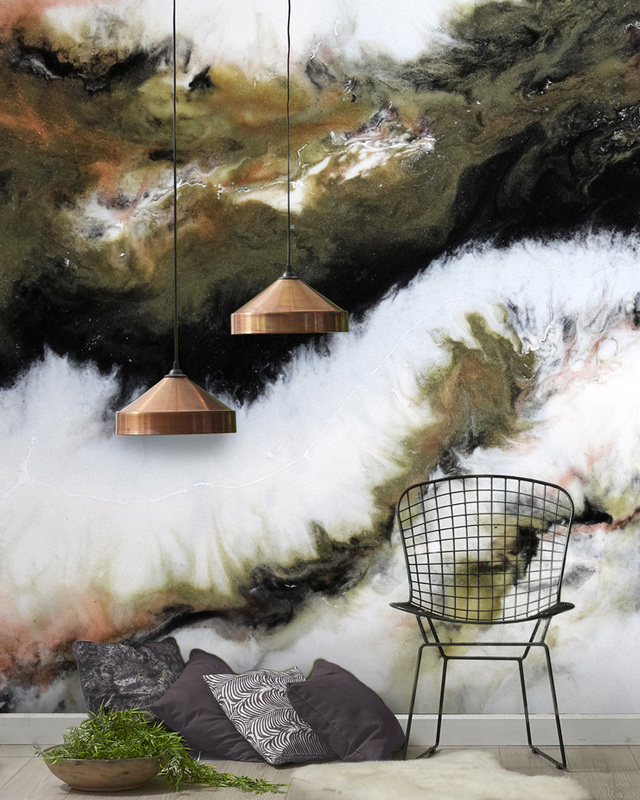 Her amazing collection for Wallsauce features mixed textures with pretty floral patterns, the very stylish and on-trend ombre and marble effect and lots of colour to create breathtakingly beautiful designs. Nicola studied Graphic Design and Advertising at university and went onto to become an illustrator. As well as creating abstract atmospheric wall murals her work can also be found in children’s' books, greeting cards, mugs and placemats. You can create the ultimate modern ambience in your home with Nicola’s designs. She uses prominent movement and splashes of colour to create abstract, atmospheric pieces. 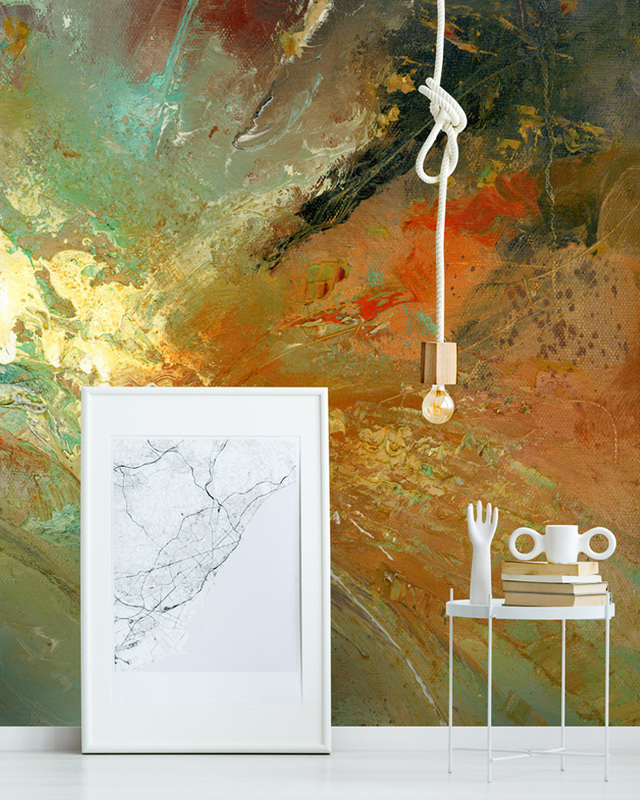 Her artwork will look super cool in your home or even in an office environment. So there you have it, our five new brilliant designers whose artwork will help you give your home a modern makeover. All of the designs are made-to-measure and they are available to order in three different types of wallpapers: Classic 'Paste the Wall' Mural, Premium 'Paste the Wall' Mural and Textured 'Peel & Stick' Mural. If you are feeling spoilt for choice and can’t decide on which design to go for then you can order a sample for a small fee. We can print the sample in the wallpaper material of your choice too and if you go ahead and place the order with us the fee will be refunded. Now you can start your 2019 in style - New Year, new décor and the perfect excuse to throw a party so you can show off your wonderful new interior décor. If you enjoyed reading this blog post then you may also like to read one of our previous posts on the latest interior trends. Are there any particular interior trends that you’ve got your eye on when it comes to decorating your home? Share your ideas in the comments box below.